Brandon Sommerfeld passed away quietly on January 13, 2013 from cancer of the liver. He passed away at home in Reno, Nevada with his family gathered around him. Brandon was born on April 7, 1963 in Vancouver, Washington to Jack Sommerfeld and Antoinette Wooldridge. At the age of 11, he moved to Sparks, Nevada where he resided with his stepfather, Thom Wooldridge, his mother, Antoinette and a motley crew of five brothers, and one sister. He attended Reed High School. In 1983, he enlisted in the U.S. ARMY where he proudly served his country for thirteen years. 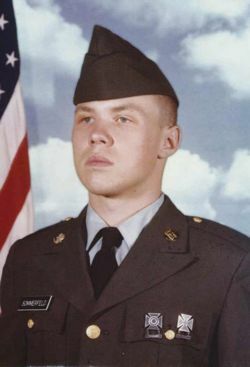 Brandon Sommerfeld was a U.S. Army combat veteran. While in Korea, he served as a Scout in the 123rd Infantry Regiment during his two tours on the Korean DMZ. On his return to the U.S, he became a member of the 82nd Airborne and then the 1st 325 Infantry. While at Fort Bragg, he passed what is known as a Q Course with commendations and became a Green Beret. He was only one of a few people who volunteered to go to the SERE School. When Desert Storm began, Brandon was sent to Kuwait where he served as a Weapons Specialist and road fearlessly on top of the Humvees and operating a .50 caliber machine gun. Upon returning from the War, he became a Combative and Weapons Instructor for the U.S. Army, John F. Kennedy Special Warfare Center and School. In 1995, Brandon left the military for a quieter life. He lived in Vancouver, Washington for a time and then returned to Reno. While in Reno, he was employed as a Product Representative for C&M Foods as well as working privately as an operator, which often took him to Virginia on business. While in Virginia, he met the love of his life; Kristen and they were soon married in Reno. It wasn’t long before he was presented with an opportunity to do what he loved most when he was offered a job at International Training, Inc in West Point, Virginia. There he held the position of Master Instructor where he continued to teach combatives and weapons. In 2004, he took on his most favorite role when he became a father to Natalja Margaret. His sweet daughter shared his interest in martial arts and he loved practicing with her and took pride in her earning of belts. 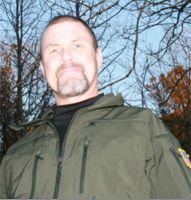 Brandon was the founder and president of The International Combative Science Association (ICSA) as well as Sommerfeld Combatives Russian Martial Arts (RMA). Brandon was inducted into the Black Belt Hall of Fame, Body Guard Hall of Fame, and the Elite International Close Quarters Combat Instructor. Brandon has been featured on television shows including Weapons of War: The Inside Story of the U.S. Special Forces, Secret Service Secrets (3 part series), Ten Ways to Kill Bin Laden, and The Real Story: The Bourne Identity.He holds certificates or rankings in Rough and Tumble WWII Combatives (Black Belt), Bujinkan Budo Taijutsu (Ninjutsu Second Degree Black Belt), and Systema Full Instructorship under Vladimir Vasiliev and Mikhail Ryabko. Numerous publications have featured Brandon including: Fighting Knives Magazine, Tactical Knives Magazine, Full-Contact Magazine, Smithsonian Magazine, and Soldier Magazine. 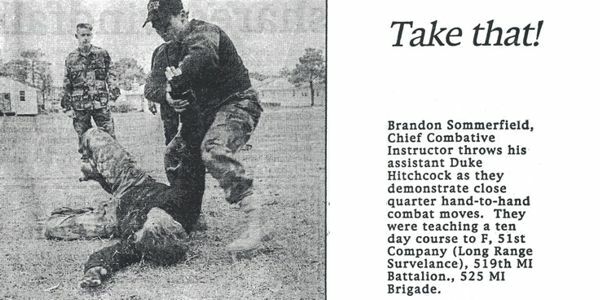 Brandon was one of the Top 10 Combative Instructors in the Nation. Despite all the awards and certificates, Brandon never discussed them with anybody. What truly mattered to him were his family and friends. He was a loyal and generous friend and held those friendships in high esteem. He had a quirky sense of humor, was the first to come up with an imaginative prank, and knew how to throw a killer party. Brandon was not only a warrior but also an artist and musician with had a compassionate soul, who lived and loved life completely in the short span of his life. A service was held on Friday, January 18, 2013 at 9 a.m. at St. Anthony’s Greek Orthodox Church in Reno, Nevada. He was buried with military honors at the Northern Nevada Veterans Memorial Cemetery in Fernley, Nevada at 11 a.m. in the morning.